Personal injury lawyers represent people who have suffered serious injury as the result of an accident or negligence. This work includes representing people who have paid premiums in good faith to insurance companies, only to have their claim denied when they need help the most. At Clonfero Law Firm, we are dedicated to helping individuals and families who face challenging odds following a traumatic event or long-term illness. We are a litigation firm, which means we are focused on representing clients in disputes with other individuals or with corporations. When someone is injured and cannot access the assistance they need to recover, we step in to provide advocacy and support. The aftermath of serious injury car crashes, including pedestrian-vehicle collisions, motorcycle accidents and truck accidents. We provide no-fault benefit assistance and sue on behalf of clients in the event of major trauma caused by motor vehicle accidents. The after-effects of serious slip-and-fall accidents, where they face a challenging legal fight for compensation against private or public occupiers of property. 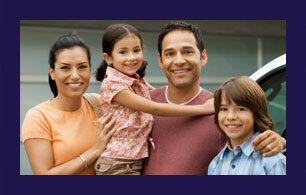 In addition, we represent families in wrongful death claims and bad faith claims against insurance companies. Restoring peace of mind is key to our work at Clonfero Law Firm. We believe that injured people should not experience distress that interferes with their healing. To hear how our clients have responded to our work, read our testimonials page. To speak with a member of our team, call us at 416-703-2077 in Toronto or 1-416-703-2077 toll free in Ontario. Our personal injury lawyers in Toronto can meet you at your home or place of medical treatment, if you cannot come to our office. Send us an email to learn more. Consultations are free of charge.